Last start winners ZEGOTA and DISTROYIA will be aiming for back-to-back victories when they line up at the Sunshine Coast tomorrow. 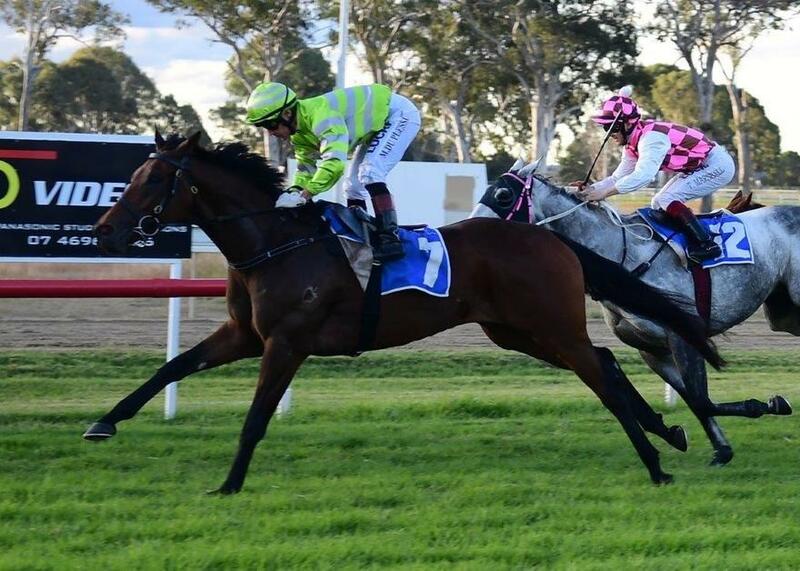 ZEGOTA comes off a dominant front-running win at Gatton a fortnight ago, while DISTROYIA is backing up after a fast-finishing victory at Beaudesert on June 5. The consistent HELLAROO is also entered at the Sunshine Coast tomorrow, giving the stable three strong chances at the meeting. TRAINER COMMENTS: "It looks to be a very solid Class 5 1200m. It's a race that has got quite a bit of depth to it for a Sunday meeting and I was a bit surprised at how strong it was. However she's come on well since her first-up effort and if she can get the right sort of run just off the speed, I've got no doubt she'll be competitive and should figure in the finish." TRAINER COMMENTS: "A nice barrier draw here which I'm sure is going to be a bonus particularly up the testing Caloundra straight. She's done really really well since her first-up win, obviously she's up in grade and they don't often go from a Maiden to a Class 1 but she's a fit and happy filly and I expect her to be competitive once again." TRAINER COMMENTS: "It looks a nice race for him after a very strong win last start at Beaudesert against the speed and the bias of the track. He looks a million dollars going into this race, obviously this is a bit of a step-up in grade but he does like Caloundra and we look like getting a nice track too which I also think is a bonus."